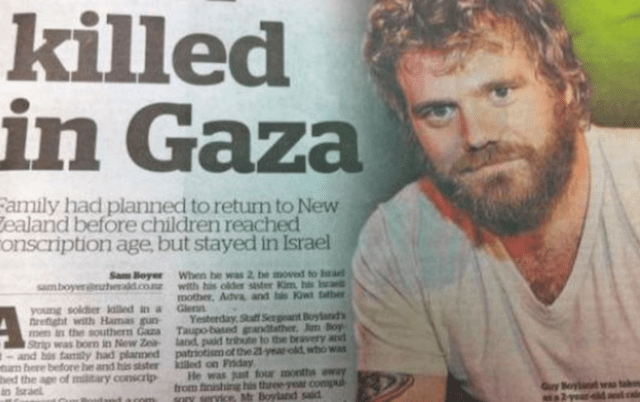 The New Zealand Herald has landed itself in some hot water by running a photo of deceased Jackass star Ryan Dunn instead of KIA Israeli soldier, Staff Sgt. Guy Boyland. New Zealand born Boyland was downed by Hamas in Gaza on Friday during a firefight. The confusion between the two reportedly comes from Boyland having posted a photo of Dunn on his Facebook page following the personality’s death back in 2011. The newspaper have since issued an apology and pledge to tighten up their research procedures in the future. Editor Shayne Currie said, “I have personally spoken to members of Guy’s family this morning, as has the CEO of APN, Jane Hastings. The family members have been remarkably forgiving, particularly in the circumstances. I have apologised for adding to their grief and I will keep them fully updated on how this happened as obviously it is unacceptable. Fans who logged into Fallout 76 last year can now pick up the Fallout Classic Collection on PC for free! Also, there's a new update. In the crossover event between The Witcher and Monster Hunter World coming out in February, with Geralt of Rivia on his way to the New World. Although Catherine Full Body is coming out in Japan soon, Catherine Classic just released on PC via Steam. Although it's been out for a few months in the USA and Asia already, Europe might be getting the Dark Souls Trilogy collection, too.